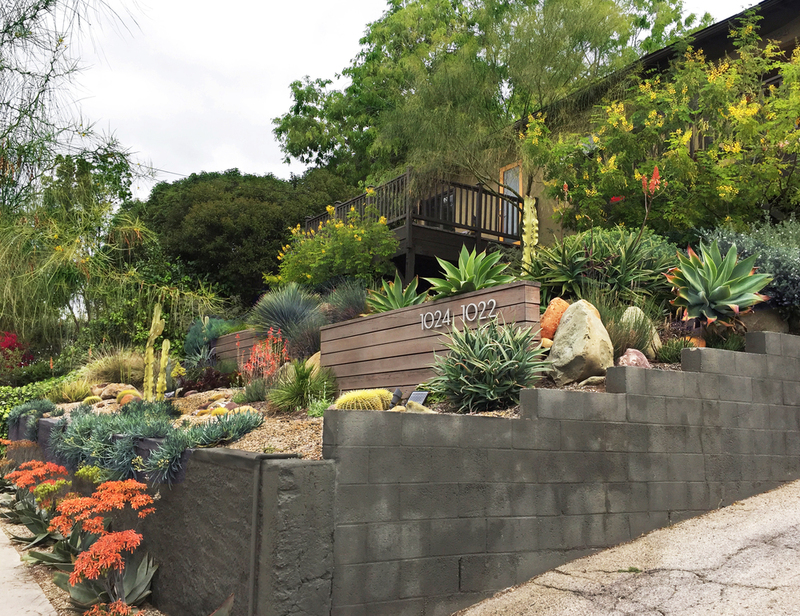 We hauled four containers of soil and debris, installed dry wells, and a below grade rain catchment system to shore up this sloped front landscape. Colorful boulders enhance the colorful low water planting design. Mexican Bird of Paradise shrubs hide an otherwise unsightly view of the deck undersides. 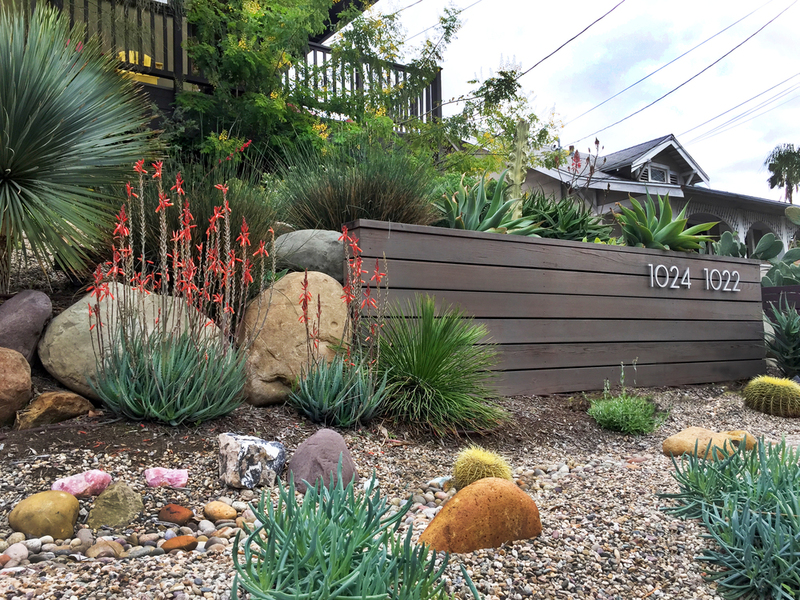 The eye-level streamscape has a museum-like diorama sense enjoyed around the clock by pedestrians in this highly foot trafficked Sliverlake neighborhood in Los Angeles.